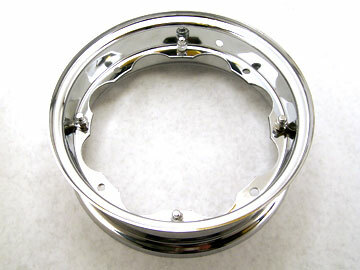 Standard Lambretta wheel rims are 3 inches wide, but these extra boss rims are a whopping 3.75 inches wide and offer better grip thanks to the larger contact patch they provide. Super Bad when fitted with a larger 100/90x10 or 4.00x10 tire. Lustrous chrome plated finish with chrome cap nuts included.